Chips from the HiSilicon unit of Huawei are sparking concern because they power millions of surveillance cameras in the U.S. in places as varied as pizzerias, offices and banks. Huawei has repeatedly denied its equipment is used for spying and says it isn’t a tool of China’s government. In August, updated legislation barred the U.S. military and government from buying tech gear from firms deemed too close to authorities in China. When the bill surfaced, Pelco scrapped any thought of providing its new GPC Professional 4K camera to the U.S. government and lowered its sales goals. 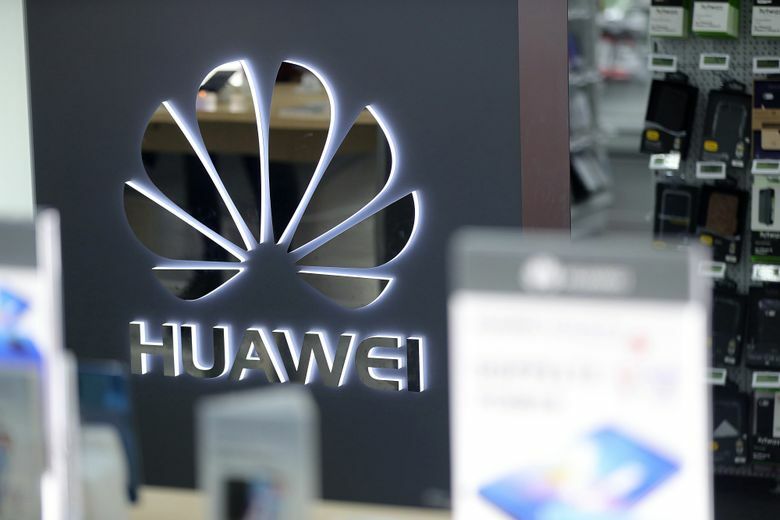 The reason: The device uses parts from HiSilicon, the chip division of Huawei Technologies Co.
Huawei, China’s largest technology company, is the target of a broad U.S. crackdown over allegations it has stolen trade secrets, violated sanctions against Iran and sells equipment that could be used by the country’s Communist Party for spying. Huawei has repeatedly denied its equipment is used for spying and says it isn’t a tool of China’s government. A HiSilicon representative didn’t respond to requests for comment. Still, the fact that Chinese-made chips run millions of cameras across the U.S. has some legislators worried. A particular concern is that China’s highly-developed domestic surveillance capabilities could be turned against the U.S.
There’s no evidence that cameras with HiSilicon chips have been used in this way. But recent hacks show what’s possible. In 2016, cameras made by China’s Hangzhou Xiongmai Technology Co. were used to launch a cyberattack that severed internet access for millions of people. The incident stunned the camera industry, although such vulnerabilities haven’t been found with HiSilicon equipment, industry insiders say. What’s clear, though, is that HiSilicon chips are deeply embedded in a security camera supply chain that’s complex and hard to track. Industry blog IPVM reported in December that these Chinese components power tens of millions of western devices sold by household names including Honeywell International Inc. Cameras with HiSilicon chips are on sale widely through Amazon.com. HiSilicon’s pervasiveness is the result of China’s push to create its own semiconductor industry, rather than relying on U.S. companies. 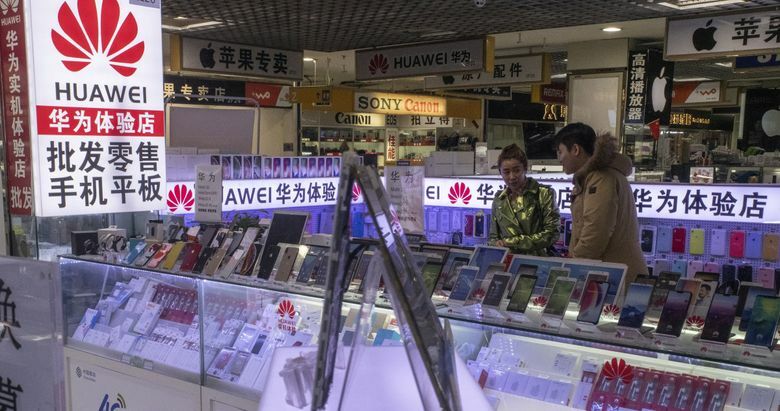 The Huawei unit generated $7.6 billion in revenue last year, eclipsing Silicon Valley stalwarts such as Advanced Micro Devices Inc., according to Sanford C. Bernstein estimates. Security cameras are a major source of these sales. The camera industry is a complex web of distribution companies and licensing agreements, making it difficult to track which devices have HiSilicon components — and whether they violate the U.S. rules that took effect in August. Hanwha Techwin America, which sells cameras to banks, casinos and hospitals, uses HiSilicon in at least three product lines. But with the South Korean company’s devices sold through a cadre of distributors and re-sellers, it’s difficult to determine if the government purchases devices with HiSilicon, said marketing director Miguel Lazatin. “We probably do sell it to government institutions, but we don’t have good visibility,” he said. Lazatin also wasn’t certain if selling those cameras violates the U.S. law because it mentions “telecommunications” gear from Huawei and China’s ZTE Corp., but not video equipment or HiSilicon itself. That’s made non-Chinese security camera makers increasingly reluctant to work with HiSilicon on devices for the U.S. market and government projects, Silicon Valley chip company Ambarella Inc. told analysts during a late November conference call. “This has helped us win new designs at major customers that had previously used HiSilicon,” Ambarella Chief Executive Officer Fermi Wang said. Thermal camera maker Flir Commercial Systems Inc. signed a licensing deal with Zhejiang Dahua in 2014 and sold $1.45 billion of gear to the U.S. government from 2014 to 2018, according to Bloomberg Government data. Flir dissolved its agreement with Dahua two years ago and now uses Ambarella chips, according to a Flir spokesman. Honeywell, a major government supplier, produces cameras using manufacturing designs from Dahua. Scott Sayres, a spokesman for Honeywell, said a very small percentage of the company’s cameras use HiSilicon chips and those models aren’t sold to the U.S. government. Representatives for Hikvision argued to legislators that the law unfairly lumps telecom firms with video operators, according to three people familiar with the conversations. The company has pushed for other supply chain legislation that would restrict sales bans to particular components rather than blanket prohibitions on manufacturers, these people said. In October, the Security Industry Association, a trade group, wrote to Congress seeking clarification of “ambiguities” in the law, particularly around the supply chain. One concern is that the ban may extend beyond the Federal government to local agencies, according to two people familiar with the conversations. That could hurt HiSilicon even more because its chips are often in cheaper security cameras used by smaller organizations. When Pelco, a unit of Schneider Electric SE, finally released its GFC Professional 4K camera in November, the company stressed that the model doesn’t comply with the National Defense Authorization Act. It also delayed the release of the product line, and spent time and money changing the packaging, documents and camera web interface. The company also created a web page listing many of its other products that do comply with the updated law on U.S. government purchases. “Pelco is proud to be a trusted vendor to so many discerning customers,” Pelco Chief Marketing Officer Robert Beliles said. Bloomberg’s Ian King, Thomas Black, Todd Shields, Chris Cornillie and Gao Yuan contributed to this report.